Whether it's delivering excitement through his extreme hunting antics and tough guy mentality, or focusing on the little things in life - fans should stay tuned for big news surrounding the reality TV star. 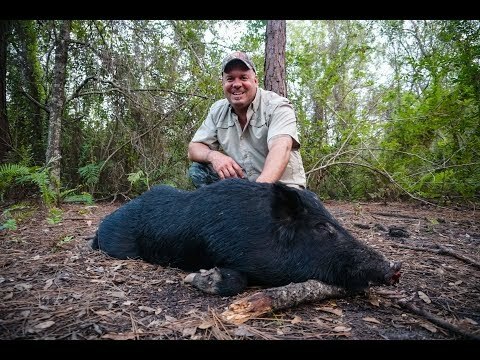 SARASOTA, FL, December 20, 2017 /24-7PressRelease/ -- Hog hunting mastermind Tom Walker has made a name for himself through reality TV, guided hunting adventures, and celebrity collaborations. He is known nationwide for his unique set of skills, sheer will power, and relentless pursuit of wild hogs and extreme hunting adventures. He effortlessly throws himself into dangerous situations and has proven that he will take whatever risk is necessary to get the job done. Birthed was Tom Walker's Outdoor Adventures, a guide service where Tom could focus on his deepest passions: sharing memories with those around him and introducing sick and needy children to the outdoors while working with various organizations like All Children's, donating portions of proceeds to Make-A-Wish, guiding with Wounded Warriors, and keeping his arms open to new charities. With Tom's family and farm settled, his business steady, and fans primed - Tom Walker has confirmed that he is ready to come back on camera. Working with a creative new production company, Tom is looking forward to shedding new light around his story and the man behind the adventure. Whether it's delivering excitement through his extreme hunting antics and tough guy mentality, or focusing on the little things in life - fans should stay tuned for big news surrounding the reality TV star. A new TV show on a major network will be filled with adventures, excitement, and life lessons with the one and only Tom Walker. Visit Tom's new website to learn more.